Leak Squad in Fort Myers, Florida is committed at providing the utmost quality plumbing service for residential and commercial customers. We offer an inclusive range of plumbing services, from emergency plumbing to water heater installation to basic tap repair. No job is small for us. Our Licensed and Experienced Plumbers take vanity in supplying outstanding service enclosed by the leak squad. 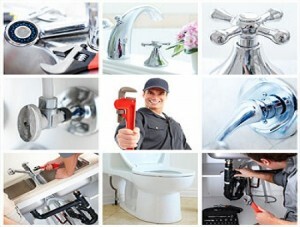 Our plumbing service includes installation, repairing and replacing your plumbing fittings. Our sustainable water treatment and purification system supply clean drinking water and resolve world’s water shortage challenges. Our licensed plumbers are specialized in installation and repair of Well equipment. Installation of all types of hot water heater: Gas hot water heater and electric hot water heater. Hot water heater repair includes discolored water, tasteless water, low hot water pressure, faucet dripping water, and water heater leaking. Replacement of old water heater with the new one whether it’s an energy-efficient water heater or a conventional unit. Complete Re-piping includes sewer re-piping, gas re-piping and water line re-pipes. Water softening system includes the elimination of ions and water contaminants to supply the soft and better-tasting water. Call us today at 239-995-5325 for free estimate before getting plumbing service. We offer emergency plumbing service on 24/7 basis as we acquainted how important a quick response can be. Leak Squad Services of SWFL Inc.